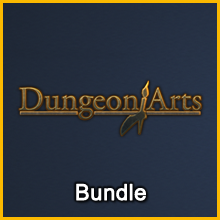 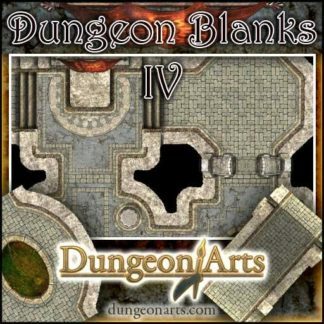 This Add-On supports making maps of dungeons using 6×6 grid square tiles (depicting a 30 x 30 foot area). 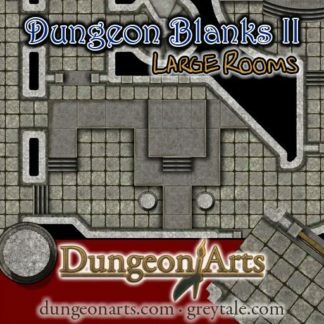 The tiles depict hallways, intersections, small rooms, and can be grouped to form large chambers. 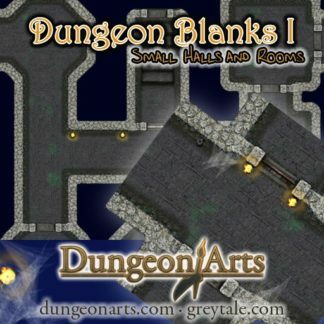 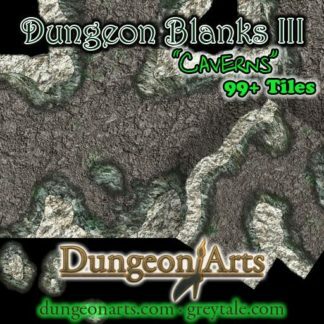 Dungeon Blanks II focuses on large rooms, 20 ft. wide halls and simple elevations. It may be used standalone or as an add-on to Dungeon Blanks I (10 ft. wide passages with small rooms). 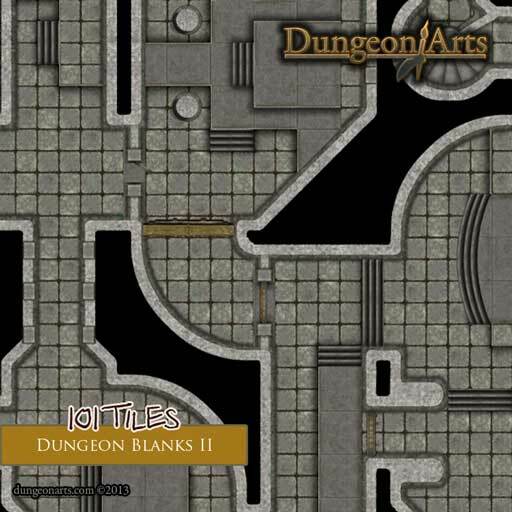 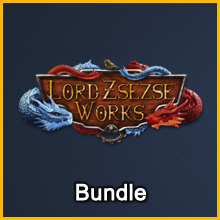 This set also introduces modular stairs, spiral stairs, and elevated platforms, allowing you to build elevation differences into your map. Decorative Items (doors, columns, & platforms) are included to further customize your map layouts.